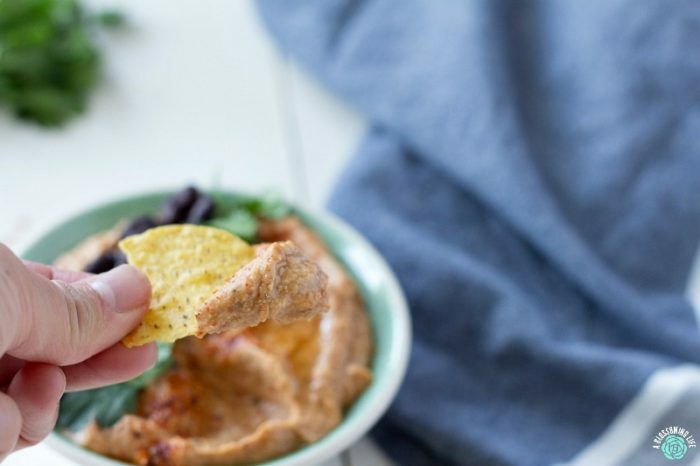 This taco hummus is a fun twist to classic hummus, and the best part is this is semi-homemade. Add additional fun fixings like avocado, cheese, pepitas or cilantro to mix it up. Cinco de Mayo is coming up, and in our house, it is always Taco Tuesday. You can almost guarantee that we will be serving up some type of Mexican dish at least once, but most likely 2-4 times a week (like this fajita chicken and quinoa skillet or this Tex Mex rice bowl) . We can’t help ourselves; we just love the flavors of Mexican food. And I’m not going to lie, we have had some type of Mexican dish four days in a row this week. Whoa. Apparently, I need to mix it up around here. So we added some taco hummus… that’s mixing it up right? Now this is a hot topic, and this may fan to flame some serious opinions, but as for me and my house… we will serve cilantro. As for Libby and her house… they hate cilantro. Some people find it tastes like soap, and for others, like the people living under my roof, it is an amazing herb that ads freshness to a dish. Apparently its a genetic thing, and some people can taste soap, while others don’t. My mom and brother both think cilantro tastes like soap, and I wish I knew what my dad thought, but he won’t touch Mexican food with a 10-foot pole. Gasp! The horror! Growing up, we rarely had any kind of Mexican food because my dad hated it. My dad was a firefighter, meaning every third night he was gone, and on occasion when we weren’t having leftovers, my mom would make tacos. Now, every time my mom comes to visit without my dad, the first thing she asks is if we could have tacos and nachos. Of course we offer it to her multiple times. We’re great hosts. I thought I would add this easy dip to the mix. 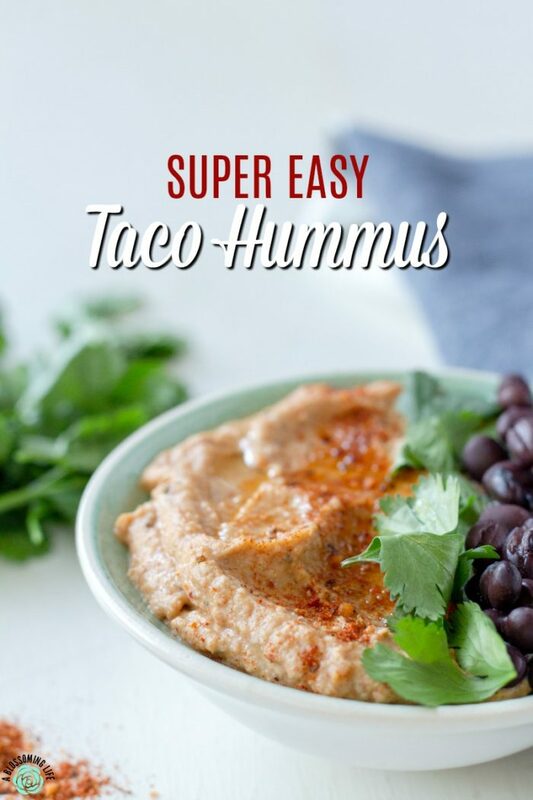 It is easy (hello, pre-made hummus and pre-made taco seasoning), healthy, and tasty. It’s just two ingredients, although you can definitely mix it up and add lots of fun things to it. 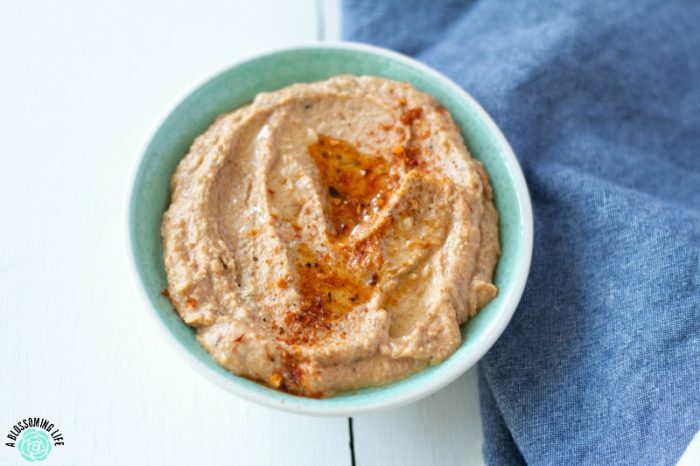 Now, you can definitely go make your own hummus (this one has a great reviews). And honestly, I probably should have. I have tahini in my refrigerator and probably have a can of chickpeas stuffed in the back of the blackhole I call my pantry. But maybe not, because hummus is the only way I like chickpeas… I’ve tried many times to like them and I. Just. Can’t. They are just a weird size and texture, so hummus is what they are good for. Anyone else not in love with plain chickpeas? Please tell me I’m not the only one. But I wanted to go as simple as possible with this recipe. I’m a work-from-home mom with two kids two and under. I need some convenience in my life. This is one of those things that I just prefer to buy. Thank you, grocery stores, for offering such a variety of hummus. 1 8 oz container hummus Trader Joe's eggplant hummus yummy and has great ingredients. 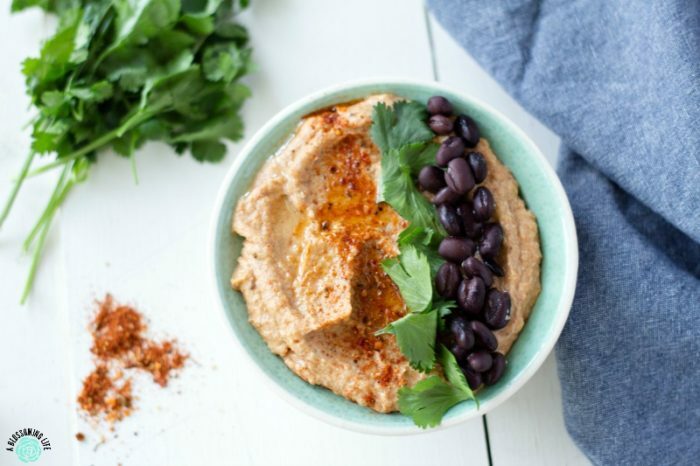 Mix together pre-made hummus (or make your own favorite recipe) and taco seasoning. Add your favorite toppings like cilantro, black beans, garlic, seeds, etc. Possibly the simplest recipe ever! 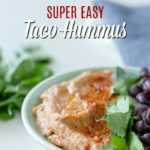 You need to try some taco hummus yo.